Lance Stroll says he is relieved that the "bridge hasn't burned" between him and Esteban Ocon, despite the prospect of his move to Force India leaving the Frenchman without a drive in 2019. The Canadian and Frenchman are close friends in the Formula 1 paddock – a fact that remains, despite the current situation between them. Lawrence Stroll's £90million takeover of Force India in August was expected to be swiftly followed by Lances move from Williams – although that will now likely happen in the close season. With Sergio Perez expected to announce a new deal with the team before the Mexican GP, Ocon's last hope of lining up in F1 next year lies with Williams' remaining seat – fellow Mercedes junior George Russel has already filled one with the Grove squad. 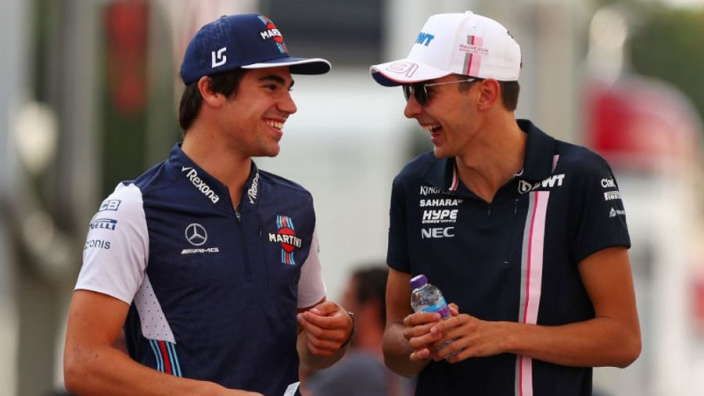 Ocon posted on social media before the Russian GP, expressing his respect for Stroll, who has come under fire for being perceived that have "bought" his way into a new team, and the Canadian is glad to still have his friend in the paddock. "There's business, there's politics in Formula 1," he said. "I have my management team, he has his management team, we're both trying to do what's best for our careers, and there's our friendship. "We competed together in karts, we fought wheel-to-wheel in karts, he was in Prema Formula Three, he won the championship, I came in. "We've always had a good friendship and it's good to see that bridge hasn't burned."